Access to a market of 1, 2 billion people with a combined revenue potential of more than U$2.5 trillion lays largely untapped because many trade agreements have sadly not been properly implemented leaving large parts of Africa lagging behind. 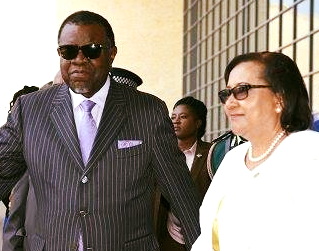 The President of Namibia, Dr. Hage Geingob, in his capacity as the Chairperson of the Southern African Development Community, addressed the SADC Secretariat in Gaborone and said many trade agreements have not been executed and growth and development targets have not been reached as a result. 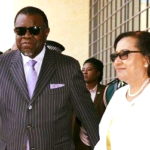 President Geingob emphasised the Regional Indicative Strategic Development Plan (RISDP), revised for the period 2015-2020, as well as the Strategic Indicative Plan of the Organ (SIPO) revised for the period 2016-2021 and said member states will have to apply these principles if they aim to successfully implement and reach development goals. It is my pleasure to have this opportunity to address you at the Headquarters of the Southern African Development Community (SADC). Since I assumed the chairmanship of SADC in August 2018, I planned on undertaking a visit to SADC Headquarters but due to a demanding schedule, I was unable to do so sooner. Nonetheless, I am glad that that the opportunity has arrived and wish to thank the Executive Secretary and the Staff of the Secretariat for facilitating this visit and for warmly welcoming my delegation and I. In order for me to expound on the importance of SADC, it is necessary to retrace the origins of this organization by recalling the groundbreaking efforts of the founding fathers of the African Independence movement. These luminaries, who I refer to as the first wave of African leaders, laid the groundwork for the eventual emergence of the Regional Economic Communities (RECs) of the African Union. The road that led to the establishment of RECs was built on the concept of Pan Africanism. The origins of this Pan Africanism are rooted in the struggles of Africans against the scourge of slavery, racism and colonialism. In the 20th Century, this movement gained considerable traction amongst Africans on the continent and across the diaspora, spearheaded by luminaries such as Sylvester Henry Williams and George Padmore from Trinidad and Tobago, Marcus Garvey from Jamaica, W.E.B. Du Bois from America, Kwame Nkrumah of Ghana, Julius Nyerere from Tanzania, Haile Selassie from Ethiopia, Sekou Toure from Guinea Conakry, Modibo Keita from Mali, Gamal Abdel Nasser from Egypt and Jomo Kenyatta from Kenya. It is to be expected that when great minds come together, there are often differences in opinion as to the best course of action to pursue in order to achieve the desired objective. Although there was agreement amongst all Africans that continental unity was the ultimate objective, many had differing views on how best to go about achieving this goal. Some, led by Kwame Nkrumah, advocated for immediate continental political union while others, led by the likes of Julius Nyerere, called for a gradualist approach starting with regional economic and cultural co-operation. From these two differing views would emerge what was known as the Casablanca and Monrovia blocs. The Casablanca bloc of Kwame Nkrumah was seen as more radical and at the end it, seems as though the direction advocated by the Monrovia bloc of Julius Nyerere prevailed, meaning that we must first have regional integration before we can form a completely integrated Africa. For Southern Africa, the goal of establishing regional economic and cultural co-operation and the wider objective of creating a genuine and equitable regional integration became a reality when the Declaration and Treaty of the Southern African Development Community was adopted at the Windhoek Summit in 1992. The establishment of SADC, a brainchild of our visionary founding fathers, marked a turning point for our region, a point where the pursuit of regional integration was warranted. Through SADC, our countries began working in earnest, to harmonize practices in order to facilitate the process of regional integration which is a key for achieving our national developmental objectives, as well as remaining competitive in a constantly changing and increasingly complex global economic environment. Trade, was identified as the prime catalyst for accelerating our regional integration agenda. The SADC – Free Trade Area (FTA) was launched in 2008 with the aim of removing tariffs amongst member states and thereby supporting the growth of intra-SADC trade. This was followed by the signing of the Common Market for Eastern and Southern Africa (COMESA) – East African Community (EAC) – Southern African Development community (SADC) Free Trade Area on June 12, 2011. This Tripartite Vision’s objective is to improve the economic and social welfare of the citizens of the COMESA-EAC-SADC region, by supporting regional economic aspirations through the creation of an enabling environment for regional trade. Last year, SADC countries signed the African Continental Free Trade Area (AfCFTA), a flagship project of Agenda 2063, where goods and services will move freely among member states of the African Union (AU), with the objective of boosting intra-African trade. The Agreement, which will bring together a market of 1.2 billion people with a combined GDP of over $2.5 trillion, reinforces our commitment to the multilateral trading system. No one can question the fact that all of these trade agreements, where signed in good faith and with the best of intentions. However, we need to ask ourselves whether we have done or are doing enough in terms of implementation. Case in point is the SADC Free Trade Area, which was envisioned as a tool to augment the private sector in the region by increasing domestic production and business opportunities, as well as supporting higher regional imports and exports. Have we achieved this? Alas, sometimes we take decisions and after failing to implement them, we simply move on to another decision. It is imperative that as Africans, we should manage our RECs as corporations. Therefore, the core principles of corporate governance should be inculcated at all levels within the SADC Secretariat. Fairness, accountability, responsibility and transparency should constitute the DNA of our organization. This is the only guarantor of future growth and the successful implementation of our developmental aspirations. We will need to apply these principles if we aim to successfully implement the Regional Indicative Strategic Development Plan (RISDP), revised for the period 2015-2020, as well as the Strategic Indicative Plan of the Organ (SIPO) revised for the period 2016-2021. The key priorities under these strategic policies are industrialization, market integration, trade facilitation and infrastructure development, underpinned by political peace, security and stability. SADC has prioritized industrialization as a key driver for economic growth and poverty eradication due to its immense potential in job and wealth creation. It is now the time for the region to shift from its economically unfavourable position as an exporter of raw materials and start promoting value addition in order to become a competitive player in global markets and value chains. Bearing in mind the Theme we adopted at the 38th SADC Summit in Windhoek last year, which is “Promoting Infrastructure Development and Youth Empowerment for Sustainable Development,” there is a need for the youth to be at the centre of what we do. In fact, our youth should be the key drivers of our industrialization and integration agendas. It is my firm conviction that industrialisation offers untold benefits for the youth and as such, SADC must continue to invest in industrialization projects that would benefit our youths. Therefore, our drive for industrialization as SADC should expand and provide a stimulus to investment opportunities, which will have significant multiplier effects on other sectors. Through the promotion of industrialization and infrastructure development, the region will experience social and economic change that will transform our communities from a mere agrarian and import oriented society into an industrial society, with increased opportunities for employment, entrepreneurship, resulting into better standards of living of our people. I am equally confident that SADC Member States shall continue to play a role in creating an enabling macroeconomic environment in accordance with our macroeconomic programs. Our aim as a region is to have sustainable levels of growth, low inflation and competitive interest rates, to enable our private sector and youth entrepreneurs to access funds and most importantly, have a secure and enabling environment for better investment opportunities. It would be remiss if I don’t mention the new realities of the fourth industrial revolution that is characterized by artificial intelligence, robotics and alternative means of production. Whether we like it or not, this is something we need to pay particular attention to as SADC and Africa as a whole. We can ill afford to be left behind in the technological race. It is clear that in this new stage of the evolution of humanity, labour as we know it today will not be the same. With regards to our youth, it will present a challenge but similarly it will also present a myriad of new opportunities, given the fact that adoption of new technologies is highest amongst our youths. That being said, we must recognize the potential youth and technology can play in transforming our region. The only way to ensure that we excel in this new era of human development is through continuous capacity building, exchange of ideas, retraining and retooling. We count on the SADC Secretariat to spearhead this process across the region. In the absence of peace, security and stability, none of the aspirations I have alluded to will ever be achieved. It is for this reason that, the region continues to support Member States experiencing political and security challenges, as well as promoting the consolidation of democracy. In this regard, I wish to recognise the dedication and leadership of His Excellency Edgar Chagwa Lungu, President of the Republic of Zambia and Chair of the Organ, as well as personnel in regional structures, who play a crucial role and continue to assist in ensuring that the region remains peaceful and stable. Those efforts have contributed to the deepening of democracy and good governance in the region leading to the establishment of robust processes, systems and institutions within our member states. In this connection, I wish to commend the leaders of SADC Nations and the Secretariat for having played an important role in ensuring the holding of peaceful and transparent elections in the region since I took over as Chair of SADC. Moreover, the role played by the SADC Special Envoy in the Republic of Madagascar, His Excellency Joachim Chissano; the SADC Facilitation Team to the Kingdom of Lesotho led by His Excellency Cyril Ramaphosa; the Oversight Committee; the SADC Preventative Mission in the Kingdom of Lesotho, and the Force Intervention Brigade (FIB) in the Democratic Republic of Congo, is highly commendable. I am aware that some SADC Member States, including Namibia, will be holding elections this year, hence, I am confident that those elections will be held in a peaceful environment and conducted in terms of the SADC Principles and Guidelines Governing Democratic Elections. In Namibia, I have declared 2019 as the year of accountability. In my view, we could draw parallel between that declaration for Namibia and what we are expected to do in the region through the SADC Secretariat. The achievements that the region has recorded cannot be realised without a strong, well structured and able Secretariat whose operations should also reflect the competing demands on the available financial resources. In this context, I wish to remind the Secretariat that resources are scarce, and that it is a huge undertaking for Member States to fund the SADC Programmes, taking into consideration the economic challenges which we are facing. It is therefore incumbent upon all of us to make judicious use of the resources. On behalf of the Member States I wish to thank the Executive Secretary and the SADC Staff for their professionalism, dedication and commitment to the successful implementation of SADC programmes. I call upon all of you to renew and rededicate your commitment to accountability in the execution of your duties, and urge you continue working hard in order to expeditiously implement SADC Summit Decisions, for the benefit of the citizens of SADC. As we are at the beginning of 2019, I wish you all and your families a successful and productive new year.